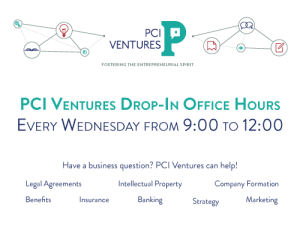 PCI Ventures hosts drop-in office hours every Wednesday from 9:00 to 12:00 at the Pennovation Center (suite 229). 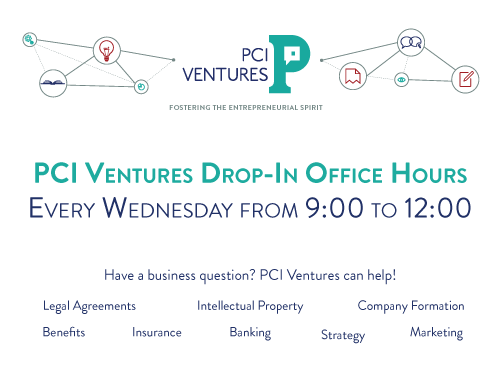 Each week, a member of the PCI Ventures team will be on hand to answer business questions on topics ranging from company formation and legal agreements to benefits and insurance. Anyone is welcome to take advantage of the office hours, so please stop by!